The work done in the Werner Gundersheimer Conservation Laboratory stabilizes the Folger's collections for use by today's researchers and for generations to come. The Folger conservation team includes Renate Mesmer (head of conservation), Linda Hohneke (book conservator), Adrienne Bell (book conservator), and Rhea DeStefano (paper conservator). Their work focuses on stabilizing materials (bound material, art on paper, manuscripts) to slow down further deterioration, but their responsibilities also include monitoring and advising on the library’s storage environments as well as exhibition preparations and installations. 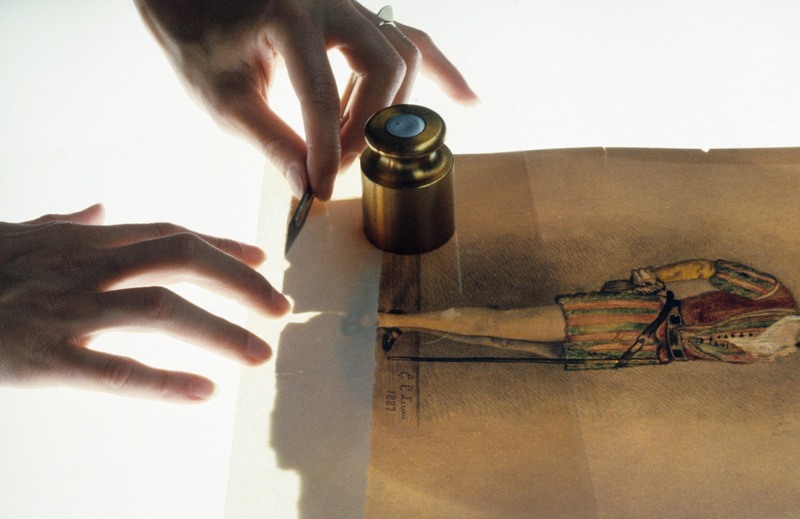 Folger conservators are highly trained to carry out major conservation treatments on extremely valuable collection items. The lab itself, named after former Folger Library Director Werner Gundersheimer and dedicated on October 5, 2006, provides the state-of the-art space necessary for the team to carry out their work. Illuminated by skylights, the lab is outfitted with the latest tools to evaluate and record an item’s condition, along with a mixture of traditional and cutting-edge equipment required to treat valuable collection material. The Folger Conservation Lab has also been helping to train book and paper conservators for over 30 years. The prestigious Advanced Intern Program attracts conservation professionals from all over the world. In August 2014, the Folger welcomed its first intern into the new Graduate Intern Program, which accepts students from masters-level conservation programs in the United State. Graduate interns work closely with Folger conservators to learn treatment skills over an 11-month period. Due to the duration of these internships there can be an extended waiting period before an opening becomes available. We suggest that interested conservators contact Folger Human Resources at internapplications@folger.edu to inquire about potential start dates prior to submitting an application.